Did you know that Google processes about 40,000 searches each second? 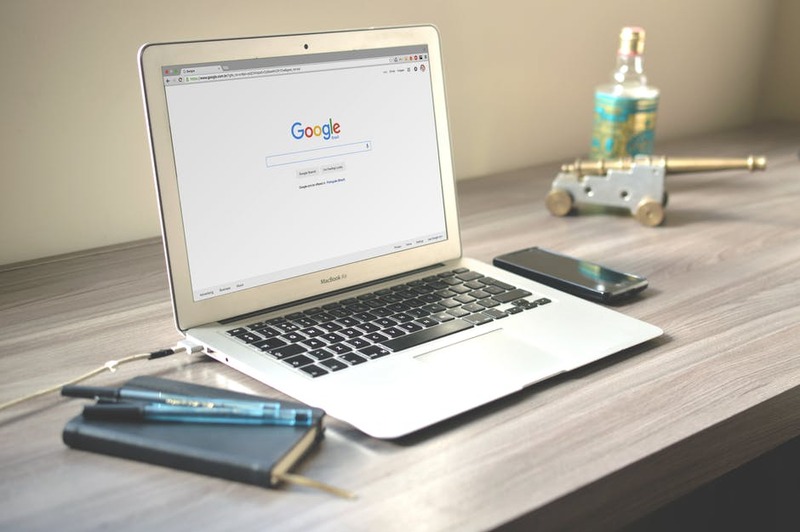 Small businesses everywhere can benefit from this search engine traffic by implementing Search Engine Optimization (SEO). SEO involves optimizing your online content for specific search terms. These terms are those your ideal clients are likely to type into Google. An effective SEO campaign can give you the online visibility you need. The more visible you are on the internet, the greater your odds are for gaining conversions! Keep reading to learn more about the advantages of SEO for small businesses. Search Engine Optimization (SEO) is a digital marketing tool. Like any traditional form of advertising, SEO is designed to give your business visibility. However, with SEO, you’ll be making your website visible to visitors on multiple digital platforms. A lot goes into a typical SEO campaign. Every campaign, for example, incorporates keywords. These are terms that your customers are most likely to enter into a search engine to find your business. Marketers optimize online content for these keywords. This means that they integrate these terms into web content, enabling Google to make a solid “match” to your site. Beyond keywords, there are several other things that can influence your Google ranking. It’s important to have excellent content, for example. Google emphasizes the value of rich content your customers are likely to find useful in its guidelines here. You can also earn a higher ranking if a lot of other sites on the internet link to your website. This is called your domain authority. A business owner can implement SEO themselves. Read more here to discover what to do. What advantages can SEO bring to small businesses? We have some ideas. One of the greatest advantages of SEO for small businesses is the fact that it can get you more local customers. This is essential if your business is located within a specific community, one you depend on to bring you regular customers. Local businesses are also frequently up against competition from chain stores and other big-name institutions–not to mention other local shops! As a business owner, you can easily implement an SEO campaign to make your website more visible to local customers. This is called Local SEO. Local SEO is still SEO. Its difference lies in the keywords and its overall strategy. Keywords like these are often searched for in a time of need, when people are actively seeking certain things. For this reason, a local SEO campaign can target people who are most likely to want and need your services. A local SEO campaign also makes the most of other digital tools. These include Google listings, those informative “cards” that appear to the right of search results. Google listings give searchers more details about your business, including its hours of operation. They also place your business on Google Maps itself. Online reviews are also important to local SEO. We talk about these below. SEO is primarily designed to give your website the attention it deserves. A well-developed campaign can give your content a high Google ranking. Google rankings refer to where your content appears in search results. In general, most searchers are only going to prioritize the first page of results. This is because the first page contains Google’s “best matches” for a certain term. Subsequent pages are less likely to match the searcher’s needs. If your website is currently hovering on page two or three of results, SEO can help. By making your content more visible, you are more likely to get clicks from visitors. Once a visitor is on your site, they may just stick around. They may even make a purchase decision right then and there. Implement SEO to get more site traffic, which can open the windows to more conversions and a solid brand image. As a small business owner, you may feel as if you’re always seeking out ways to outpace competitors. Such efforts are important. After all, they often mean the difference between a thriving business and a failed one! If you’re looking for a simpler and easier way to stay ahead of the crowd, think about SEO. SEO can set you apart from your competitors in many ways. For one thing, it can put the spotlight on your website. Some of your competitors may not even have websites. That’s right: nearly thirty percent of small businesses do not currently have websites! SEO also requires marketers to have a great website to begin with. Google can penalize some sites that aren’t meeting its needs for content and speed. By implementing an SEO campaign, you’ll be meeting design standards that many of your competitors may not have in mind. If you launch a local SEO campaign, you can easily draw community attention to your business (and away from your competitors’). Online reviews are powerful tools. Studies indicate that most consumers will check out online reviews for a business or product before making a purchase decision. If you’ve enabled online reviews of some kind, SEO can make the most of their potential. This is especially the case if you implement local SEO. A Google listing, after all, incorporates a review system any Google user can use. These average ratings display in listings in relevant search results. You can use these to your advantage by actively responding to reviews your customers have left. What’s more, use your SEO keywords in your responses to these reviews! Yes, review content can surface in search results. Optimized review content can draw attention to positive reviews and direct more visitors to your website. Search Engine Optimization is an essential tool for any business wanting to get more website traffic. SEO can help you outpace competitors and leverage other digital marketing efforts. It can even be your secret to getting those profit margins you desire. Now you know about all the advantages of SEO. There’s still more to be shared, however. Check out these five SEO hacks that can help grow your business today!